Well, okay... Without further ado, let's get started~! I'm so honored and I do appreciate being nominated for this. From the bottom of my heart, thank you Mira for the nomination. Errr... I don't think I will be able to list that many... in fact, I have none actually... because I don't visit nor follow blog unless people leave me a comment with a link and/or follow request in my blog. Well, to be truthful, I just don't really interact much with people in the blogosphere. 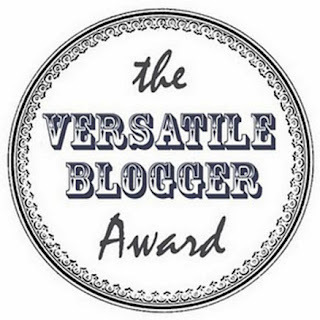 Therefore, to nominate 15 bloggers...that will be a really difficult task for me. In addition, those I have in mind had already gotten and did this award thingy... Sorry guys, there's none I can list. 1. Ashley is part of my given name. 2. I was born on May 21st, on the cusp of Taurus and Gemini. I have traits of both signs but most of the time, I feel and act more like a Gemini. 3. I am a right-hander. 4. I was once a graphic design student but currently, I am a student majoring in Business Management. Both are at private institutions. 6. The only social networking account I have are Twitter and this blog. I don't have a Facebook because I don't want to have one. Actually I had it yeeeeeears ago but I decided to deactivate it. 7. I am a fan of Hello Kitty since I was 2 years old. Up to now, I have collected over 400 Hello Kitty stuff. Once again, a BIG THANK YOU to Mira for the nomination. Hey, Ashley! It's always nice to know a little more about other beauty bloggers. Thanks for sharing this with us! Anyway, thanks again for this. You deserve it, dear! Reeeeeally? O.o I thought I'm the only one who doesn't like Facebook. lol.